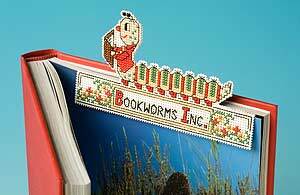 This bookworm will sit on the top of the page clearly marking your chapter. Worked on perforated paper, the design ensures he's held securely in the book so you won't lose your place. He stands about 8 cms high.